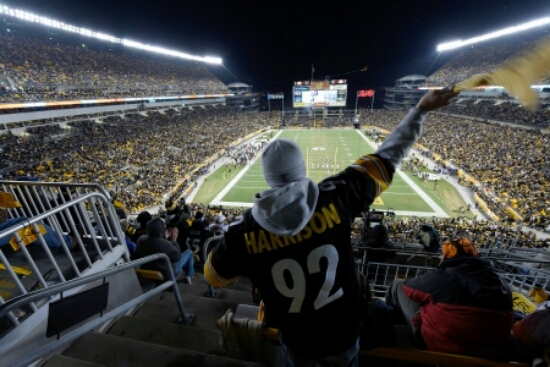 Steelers 2015 Home Game Events Announced | "IT'S A STEELERS WORLD"! The Pittsburgh Steelers announced Wednesday featured events for the team’s home games at Heinz Field for the 2015 season, including a special ceremony to honor Hall of Fame inductee Jerome Bettis during the Oct. 1 meeting against AFC North rival Baltimore. • Preseason Week 2: Aug. 23 vs. Green Bay, and Preseason Week 4: Sept. 3 vs. Carolina — Heads Up Football and youth football theme. • Week 2: Sept. 20 vs. San Francisco — “Back to Football” and NFL Kickoff Week events. • Week 4: Oct. 1 vs. Baltimore — Breast Cancer Awareness/Crucial Catch game, and Jerome Bettis will be given his Hall of Fame ring. • Week 6: Oct. 18 vs. Arizona — Rematch of Super Bowl XLIII. • Week 8: Nov. 1 vs. Cincinnati — 40th anniversary celebration of the Terrible Towel, and the team will also don its 1934 throwback uniforms. • Week 9: Nov. 8 vs. Oakland — Salute to Service game. • Week 10: Nov. 15 vs. Cleveland — Alumni Weekend, and the team will celebrate the 10th anniversary of its Super Bowl XL victory. • Week 13: Dec. 6 vs. Indianapolis — Play 60 and Punt, Pass & Kick game. • Week 15: Dec. 20 vs. Denver — The Steelers will have a “Thank you Fans” tribute, providing fans with great gifts and unique Steelers experiences.